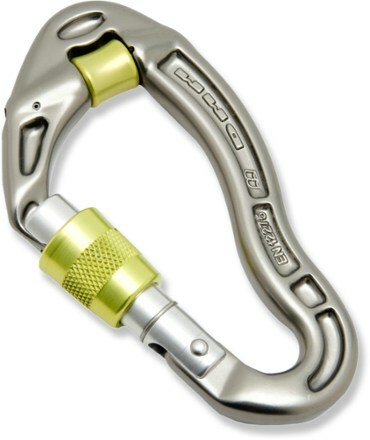 Petzl Vertigo Wire Lock Carabiner - The Petzl Vertigo Wire Lock Carabiner is designed for use on via ferrata lanyards. 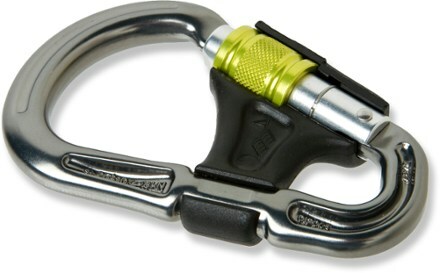 Its excellent handling and automatic locking system facilitate manipulations when passing intermediate anchors. The WIRE-LOCK increases the lifetime of the product when used intensively. 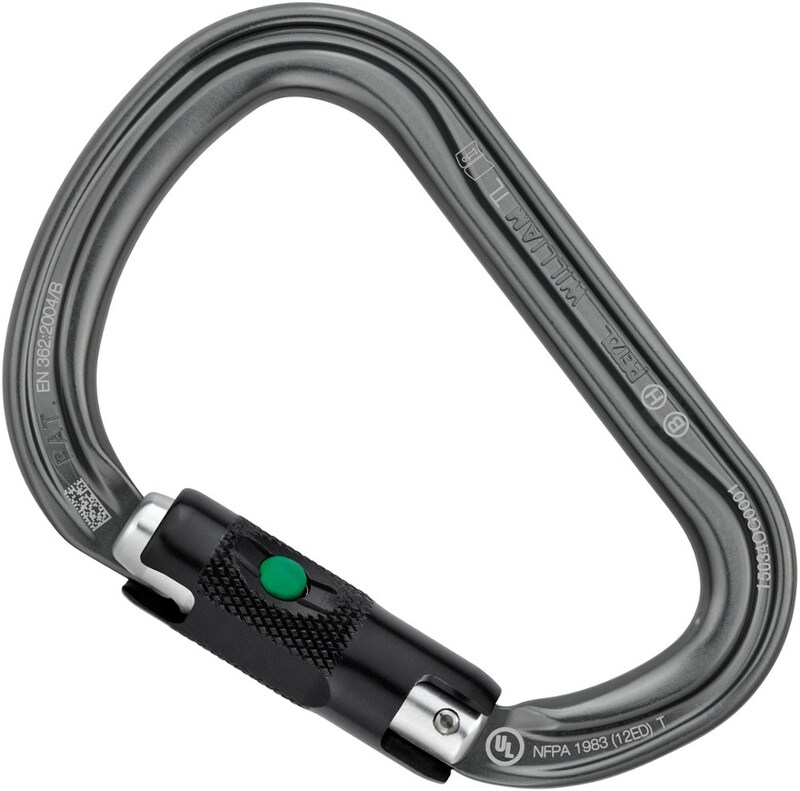 Petzl Carabiners Vertigo Wire-Lock Carabiner M40AWLU. 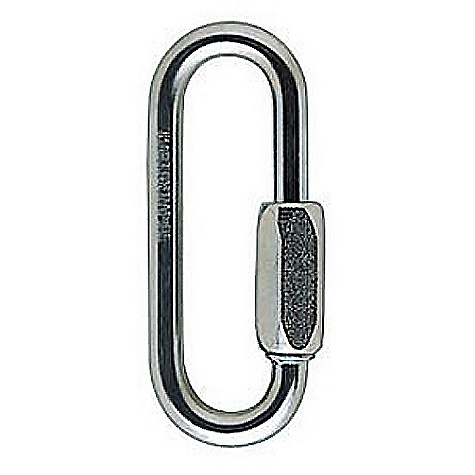 Its ergonomic design and easy-to-use locking system facilitate passing intermediate anchors. The wide opening can fit over most bars and cables. Petzl designed its Vertigo WL (Wire-Lock) Carabiner to specifically meet the needs of via ferrata, but it can also be an excellent beginner locking carabiner for anyone looking to climb outdoors for the first time. 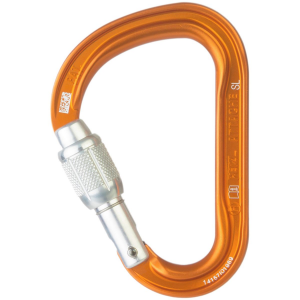 Its Wire-Lock locking system makes the Vertigo very easy to lock and unlock, making it excellent for passing intermediate anchors on via ferrata or setting up an anchor on a route. The keylock nose and large gate opening ease clipping and unclipping by eliminating any snags, and the ergonomic shape gives an excellent grip. 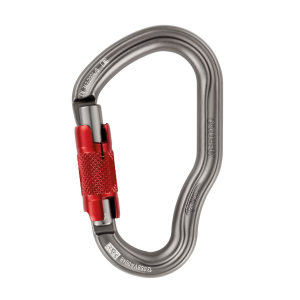 Petzl made this carabiner out of aluminum, stainless steel, and nylon to stand up to intensive use over a long period of time.